Canyon Lake is recognized as “The Jewel” of the Texas Hill Country because of its location on the Guadalupe River, which makes it a great place to relax and enjoy the great outdoors. Within the area of Canyon Lake, you’ll find the established community of Canyon Lake Hills. This community has so much to offer to its residents and any homebuyers looking to invest here. The community is close to great parks where you can go camping, boating, fishing, swimming, and do other water activities. There are also hiking and biking trails for those adventure seekers which makes it a great point for weekend trips to the hill country. The neighborhood is located about 10 minutes Northwest of Spring Branch and off of Hwy 46 on Cranes Mill Road. Residents can conveniently travel to major and upscale shopping in San Antonio and premier outlets in San Marcos. Canyon Lake Hills is also close to all festivals, entertainment, and summer fun found in New Braunfels. When it comes to the school system in Canyon Lake Hills, the students are served by the Comal ISD which provides excellent educational opportunities. Children within the community attend Mountain Valley Elementary and Middle School and Smithson Valley High School. 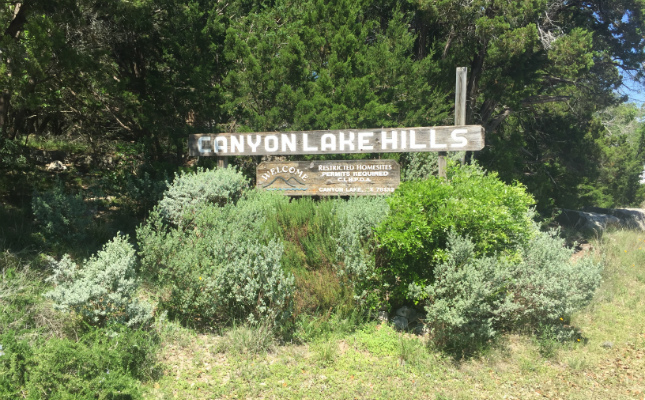 For those looking to invest in the real estate of Canyon Lake Hills, you’ll find homes that are thoroughly established between the 1970’s and late 1990’s where most of the homes for sale are a trademark of an older community. You’ll surely find a large diversity of homes at a certain price point that will match your needs and lifestyle.